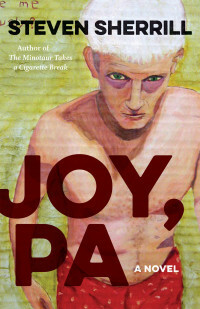 A darkly insightful evocation of the post-industrial era, Joy, PA tells the story of a family teetering on the precipice of ruin. The Augenbaughs live in a broken and decaying town where the last vestiges of country-club wealth run up against the terrible realities of working-class poverty. Abigail, a fervent believer in the apocalyptic teachings of a radio preacher, is desperate to save her son from Judgment Day as she readies herself for the Rapture—due to arrive in just a few days. A good nod from across the pond. I’ve updated the Art Page with a gallery, for my new painting series: Knew Testament. The next phase will take (an indefinite number of) months. My intention is to write a novel in the meantime.